WarVOX is a suite of tools for exploring, classifying, and auditing telephone systems. Unlike normal wardialing tools, it works with the actual audio from each call and does not use a modem directly. This model allows the tool to find and classify a wide range of interesting lines, including modems, faxes, voice mail boxes, PBXs, loops, dial tones, IVRs, and forwarders. It provides the unique ability to classify all telephone lines in a given range, not just those connected to modems, allowing for a comprehensive audit of a telephone system. 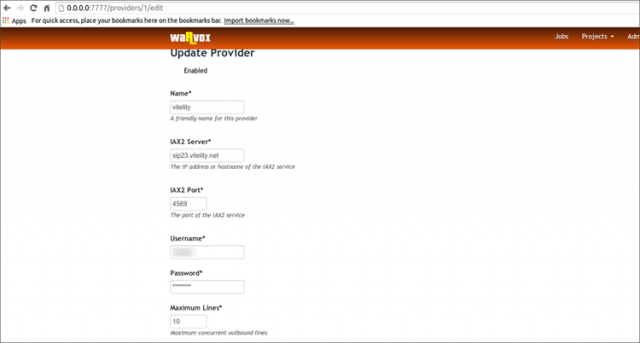 What does WarVOX War Dialing Tool Software Do? WarVOX requires no telephony hardware and is massively scalable by leveraging Internet-based VoIP providers. A single instance on a residential broadband connection, with a typical VoIP account, can scan over 1,000 numbers per hour. The speed is limited only by downstream bandwidth and the limitations of the VoIP service. Using two providers with over 40 concurrent lines we have been able to scan entire 10,000 number prefixes within 3 hours. The resulting call audio can be used to extract a list of modems that can be fed into a standard modem-based wardialing application for fingerprinting and banner collection. One of the great things about the WarVOX model is that once the data has been gathered, it is archived and available for re-analysis as new signatures, plugins, and tools are developed. The current release of WarVOX (1.0.0) is able to automatically detect modems, faxes, silence, voice mail boxes, dial tones, and voices. It is written in Ruby and designed to be run on any modern Linux distribution. It was actually merged into the Metasploit Project in August 2011. It’s been a while since the last update of Technitium back in June 2008, the latest release is v5 R2 with support for Windows 7 RC. Technitium MAC Address Changer allows you to change Media Access Control (MAC) Address of your Network Interface Card (NIC) irrespective to your NIC manufacturer or its driver. It has a very simple user interface and provides ample information regarding each NIC in the machine. Every NIC has a MAC address hard coded in its circuit by the manufacturer. This hard coded MAC address is used by windows drivers to access Ethernet Network (LAN). This tool can set a new MAC address to your NIC, bypassing the original hard coded MAC address. Technitium MAC Address Changer is a must tool in every security professionals tool box. Technitium MAC Address Changer is coded in Visual Basic 6.0. Support for Windows 7 RC added. Most reported bugs in previous versions removed. There are some famous, commercial tools available in the market from USD 19.99 to as much as USD 2499, but Technitium MAC Address Changer is available for FREE. They don’t charge for just changing a registry value! Also knowing how this works doesn’t require extensive research as some commercial tool providers claim.